People say having children is life changing. It's a massive understatement. 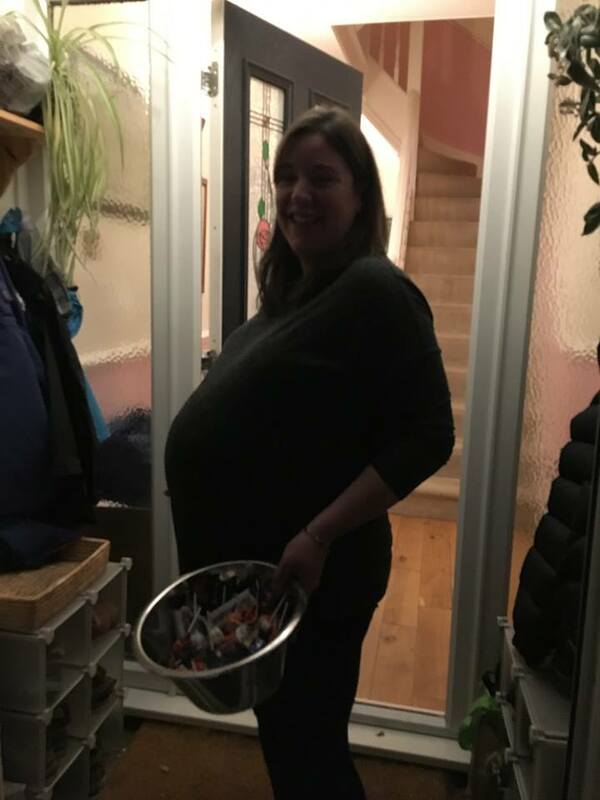 I struggled through the later stages of my pregnancy (as I was so enormous, uncomfortable and unable to walk more than a few meters at a time) but on Thursday, 10th November, after 15 hours in labour, I gave birth to our twin daughters - Eleanor Katharine Tilley and Florence Elizabeth Tilley. 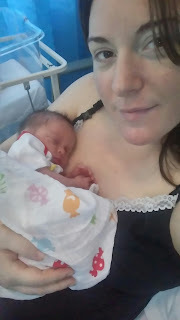 Thankfully I managed to avoid a cesarean section, and Ella and Ren (that's how we're shortening the names) avoided all but the briefest of treatment in Special Care. We came home from hospital two days later and they're now nearly 7 weeks old and are doing incredibly well. Those 7 weeks have been a mixture of emotions, but it's fair to say it's been really tough at times, and although it's also been wonderful too, I don't think anything could have prepared me for the impact of becoming a parent. Nothing I read came close to exposing the reality of it. My mum stayed with us for the first 10 days which was the only reason I think i managed to retain my sanity at the beginning, and Francis has been brilliant and is such a natural! We've totally shared the work, we've slept in shifts, and have now got to a stage where I'm relatively confident looking after the twins. 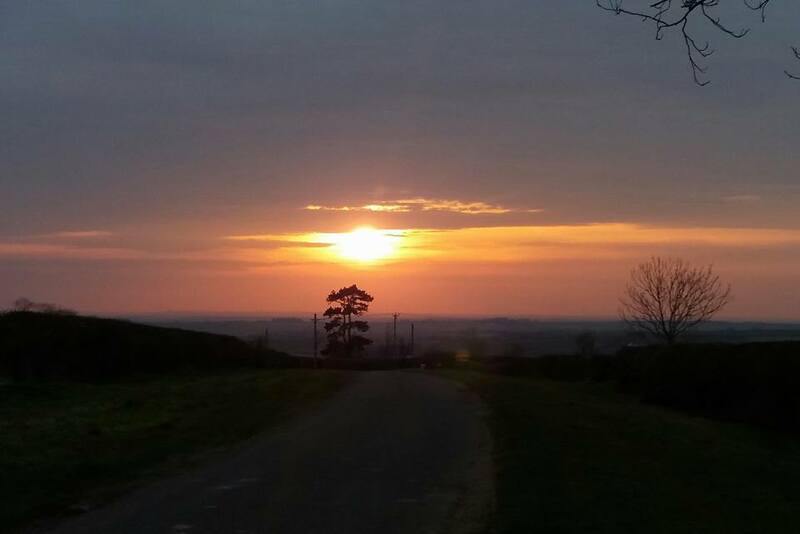 I've had one particularly bad day that will stay in my mind and prompted my earlier than planned return to running. 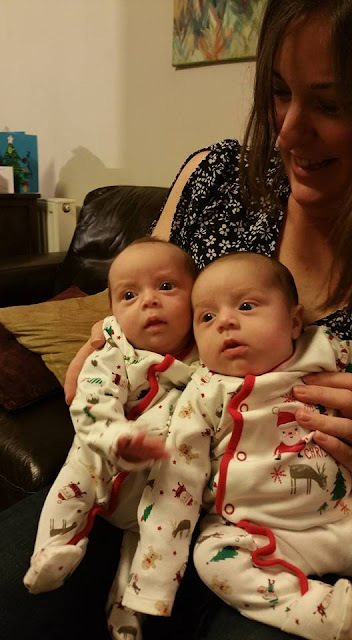 Ella and Ren were five weeks old and suffering with colds. The idea that I was now a parent was still sinking in and I still felt that I had no idea what I was doing. On this particular day there were tears - a lot of tears - and I don't think any of them were from the babies. I was still finding it overwhelming and to be honest, scary, looking after the twins on my own all day with Francis at work. I found trying to deal with the needs of both of them at the same time too much, and was also struck by the feeling of "Is this it now? Is this my life?" 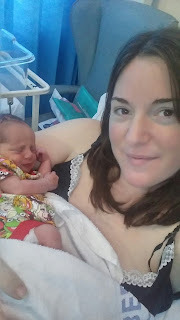 Looking after newborn twins comprises of crying (all of you), feeding them (not yourself), brief cuddling, changing nappies, changing clothes (theirs, not yours even though you may be covered in milk), lots of laundry. It's constant and although you know it isn't true, it feels like that's all there will ever be. The following day my mum came to visit and I took the opportunity to get out of the house and to take Chewie for a walk. 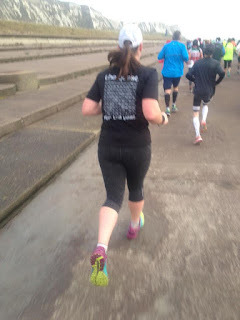 On a bit of a whim I wore clothes I might be able to run in...although didn't mention it to my mum. On arriving in the field at the start of the route I was taking, I decided I needed to try. I knew it was too early (you're meant wait for the 6 week post-natal check up) but I had recovered quickly from the birth, my stitches were healed, and the stress I was feeling was just too much. It'd been eight months since I last ran, and I knew it wasn't going to be easy, but I needed to do it. And rather than thinking about it too much, I did. My legs seemed to remember what to do. I remembered how to breathe. I didn't need to walk, and just carried on. 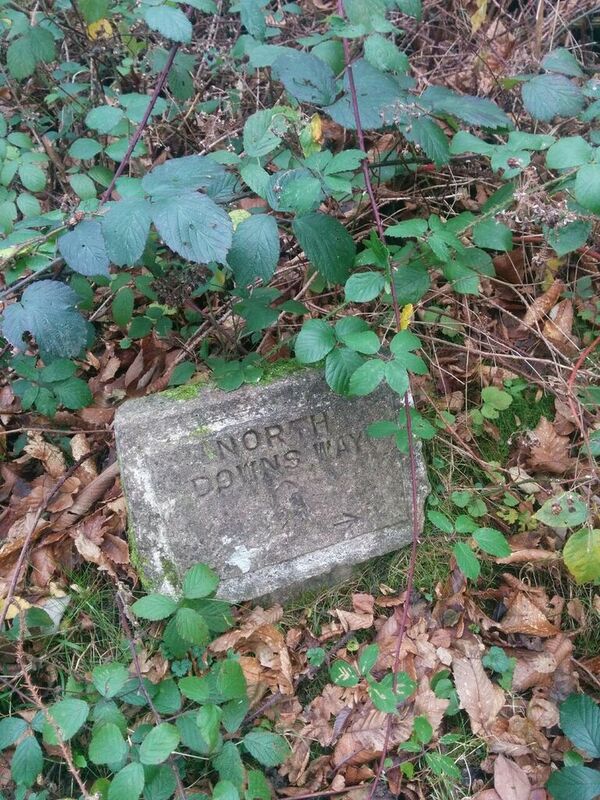 Three miles later, I thought I should probably be sensible and stop. Absolutely elated, I walked back to the car. It was brilliant! 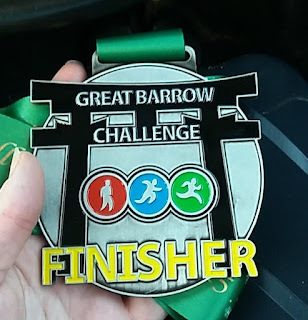 I certainly took it easy and I was very slow, averaging 11:57 along a pretty flat trail, but even so, I was surprised that I didn't find it as tough as I'd expected and seemed to have retained some level of fitness. I loved he sensation of being out there. I've been out for a few walks since 5 days after the birth, with the dog and the twins, gradually increasing the distance, and was happily walking for over an hour before the run, so didn't just do a 3 miler straight off the bat. That first run was also a perfect reminder that just because I'm now a mum, there's no reason at all why I can't be a runner too. 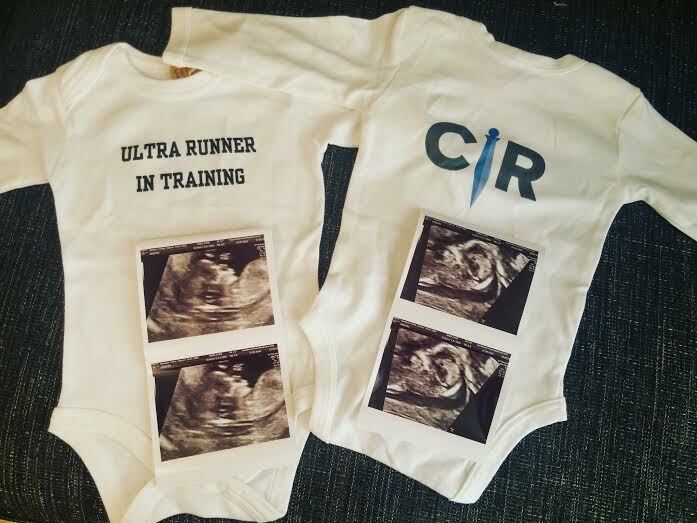 Possibly not an ultra runner for a while (as I doubt I'll be able to find the time to train) but I will definitely be able to get back to marathon fitness with the support that I have from Francis. It also heralded a completely new, more relaxed approach to looking after the girls. I was no longer worried about having lost my identity, I felt less stressed and I'm not just trying to cope any more. I'm actually enjoying it now, although am aware that as Ella and Ren get older and their needs change and increase, there will be new challenges. Yesterday, Boxing Day, I managed to get out for my second run. This time I did about 4 miles and it was so rewarding again! I'm just incredibly glad to be back. 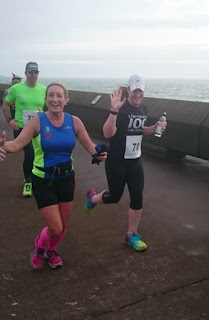 I'm still an horrendous 26lbs heavier than I was before falling pregnant, and I'm conscious that it's going to take me ages to get back to proper fitness, but I'm just happy I can still run and that I've made a start. I'm confident that after the excesses of Christmas, and with regular runs in the New Year, I will start to drop the weight, and my fitness will improve. 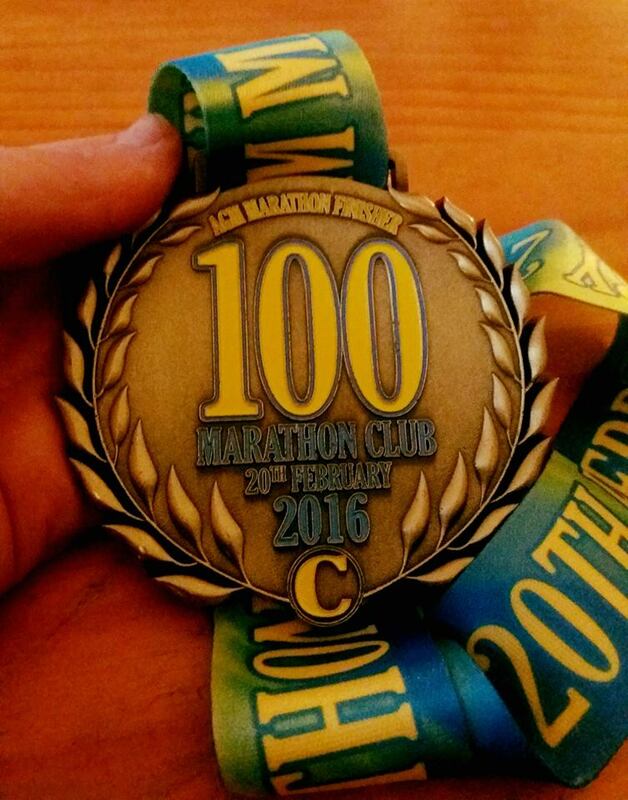 With this in mind, I've also signed up for my first event of 2017! 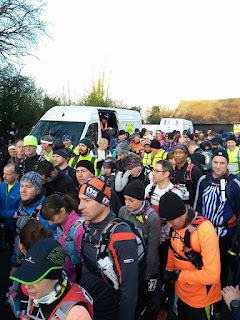 The Hockley Woods Trail Challenge at the beginning of March. 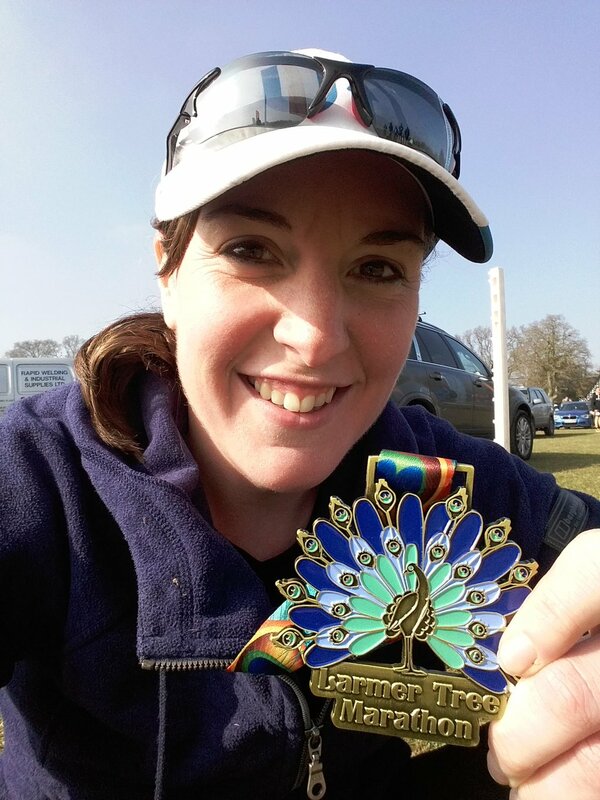 It's 5km laps, over 6 hours in my favourite local woods, and I can do as few laps as I like and still "count" as a finisher. Regardless of my fitness I wouldn't leave the twins for too long, but I'm hoping that I can do 15km. We shall see! My first baby purchase, to go with our first pictures from my scan yesterday, at 13 weeks 3 days. It's going to be at least a year until our twins are big enough to wear these babygrows...but I just couldn't resist. Many thanks to Centurion Running!! My preparation for the Viking Way is really going well and I'm just loving running at the moment. 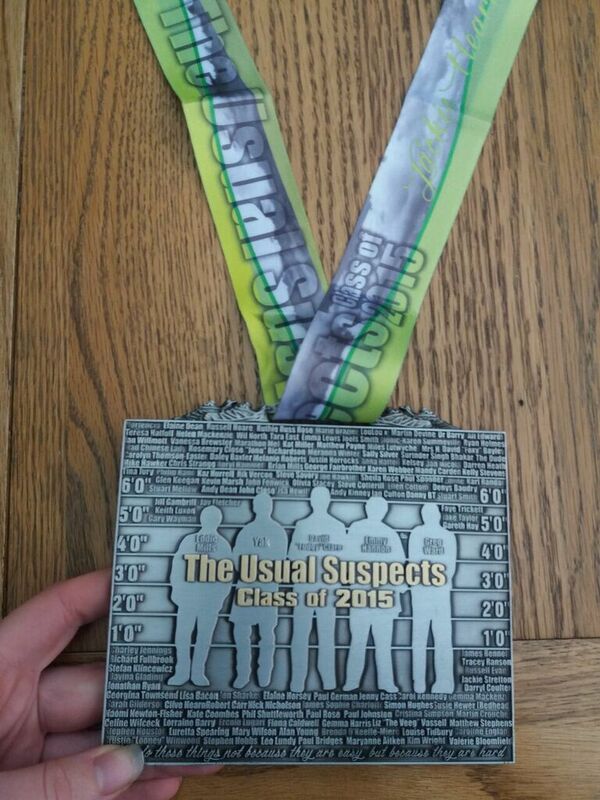 In the last two weeks, I've added a fair weight of bling to my collection, completing two marathons and an ultra. 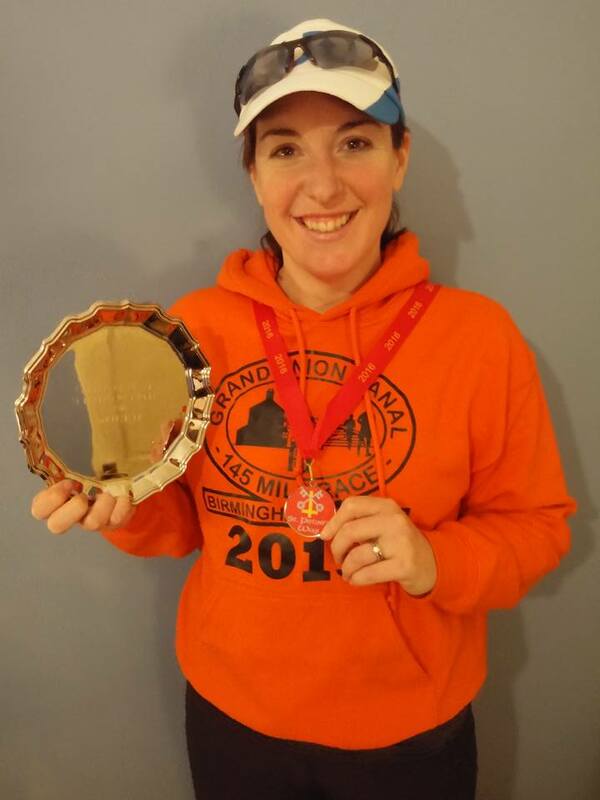 I ran my fastest marathon for 4 years (a negative-split 4:06) at the 100 Marathon Club's AGM Marathon, ran 5 laps of the Deal seawall at the Marathon Day Marathon and finished as 2nd Lady at yesterday's St Peter's Way 45 miler which runs cross country along an ancient pilgrimage route through Essex. 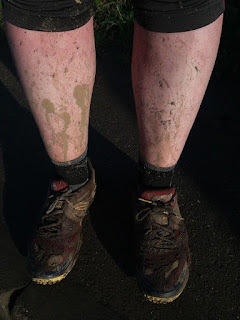 I've racked up over 150 miles during the fortnight, and apart from an Achilles niggle over the weekend, my legs are feeling surprisingly good. Whether this is the right way of preparing for a non-stop 147 mile race I don't really know, but we shall soon see! 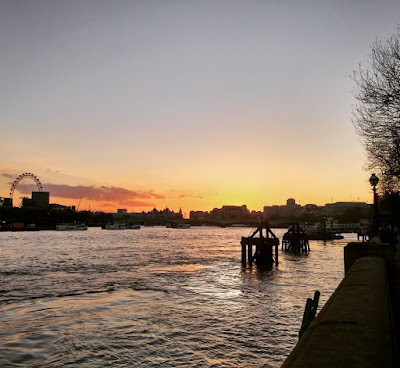 I've surprised myself by really enjoying some commute runs through London, accompanied by some beautiful sunsets, and have managed to fit in some much longer mid-week runs than I would usually find the time for. 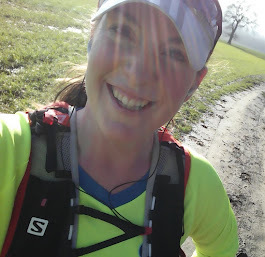 Changing from running at 10pm to getting out straight after work has made a really big difference and, with Francis being very understanding about my later arrival time at home after work, it's has made fitting in training much easier. Yesterday's St. Peter's Way race, put on by Challenge Running, is one of my favourites, and this year was my fourth running of it. 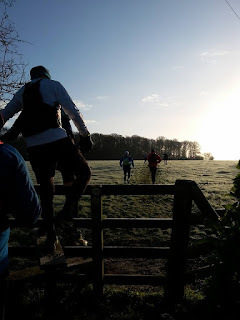 We were lucky with the weather and underfoot conditions - it's usually ridiculously muddy - and although there was no course record, it lent itself to a faster than usual day out. Everyone gets a bit lost on this race, although I'm always surprised at how easily some manage it. I only missed one gate this year but luckily realised and didn't add on any extra miles - it was surprising though how much of the route I didn't remember. You really need to pay attention to the route instructions on this race! 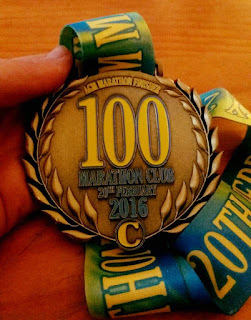 I finished over 40 minutes faster than last year, in 8:03, which I'm incredibly pleased with, especially as I ran without a watch, just on feel. If I had been clocking my time, I think I could have probably got a sub-8, but not to worry - I'm more than happy with what I achieved and how I felt throughout the race. 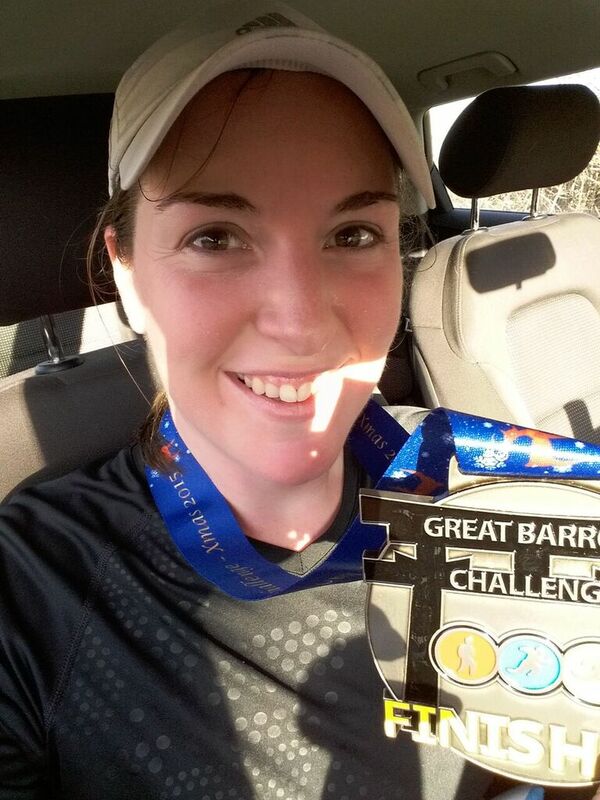 I'll be back again next year for my 5th go - maybe I'll train up specifically for that one (and not tack it onto the end of my biggest mileage week for months) so I can try and get to the top step of the podium! 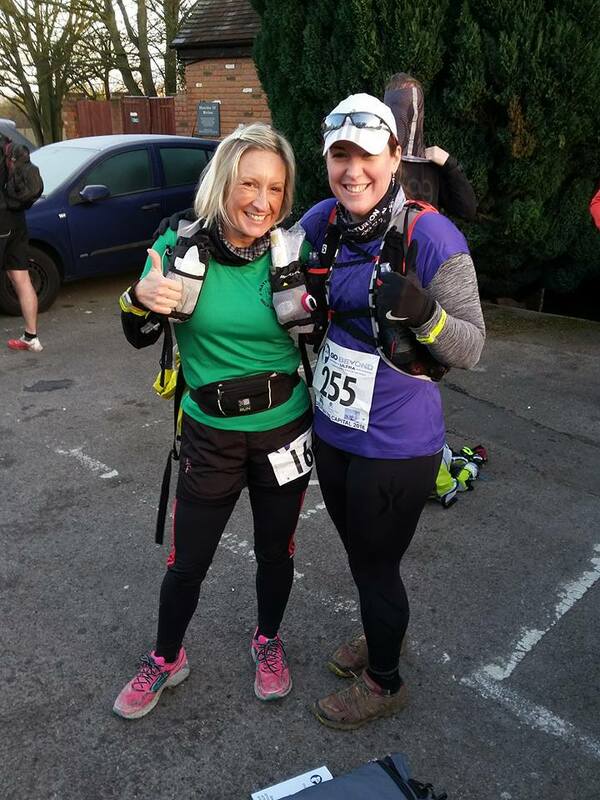 There are 50 days left until I take on my toughest race so far...the 147 miles of the muddy, cross country, self-nav, no GPS, tight 50 and 100 mile cut off, 40 hour time limit, Viking Way Ultra. But you know what, I'm really looking forward to it. I know there's going to be lots of pain, it's going to be hard, and all of those bad things, but the positives of being involved in this race really outweigh all of that. Truth be told I can't wait. Training has been going well since Country to Capital, and I have a realistic plan to get me through these last 7 weeks. I've been losing some weight, had some wonderful training runs that I really enjoyed, and yesterday I got my tattoo finished by Julia at the King of Hearts studio in New Cross, London. Am very pleased with it, and although it means a few days of enforced rest (can't get sweaty for a while!) I'm ok with that. 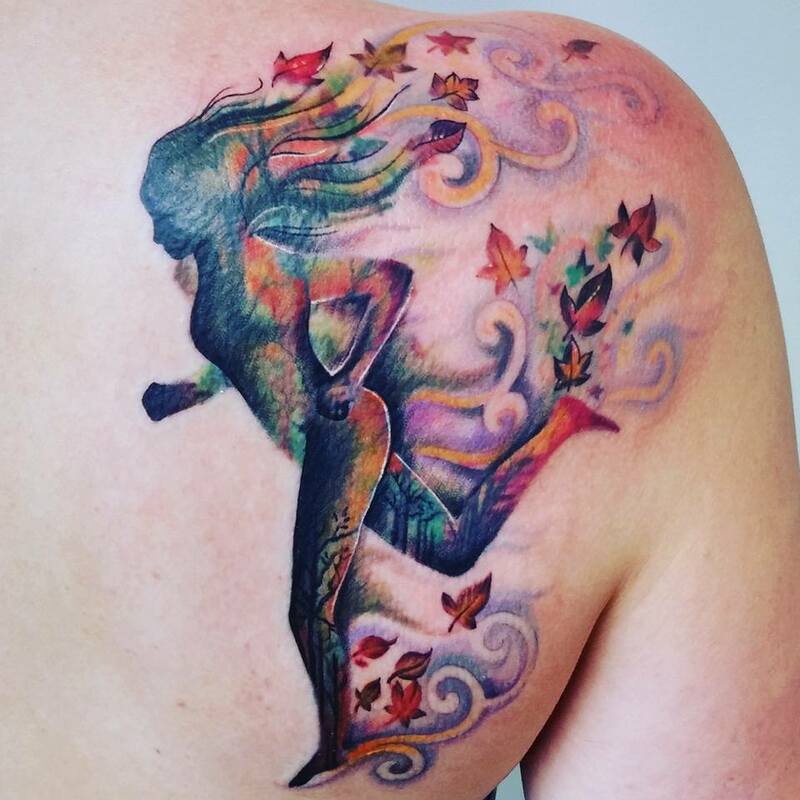 Here she is...taken just minutes after the tattoo was finished. I have been a very bad blogger. 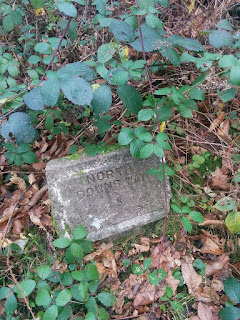 My last post was at the beginning of November, and since then a lot has happened that I've missed telling you about! We moved house, and I'm now on the Essex coast. 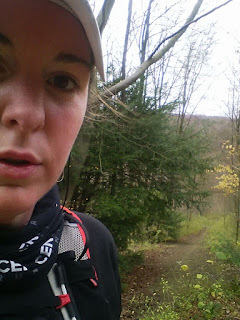 I found moving VERY stressful, but have been exploring new trails and local routes. Lots of my runs are now, inevitably, by the sea but my heart always pulls me back to the woods! * The tough Trailscape East marathon - very hilly but beautiful, along the North Downs Way. 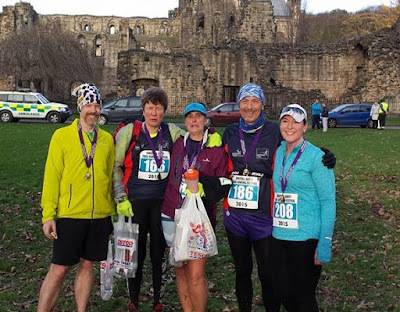 * The Kirkstall Abbey marathon, which is a bit of a 10in10 reunion and Brathay fundraising race. 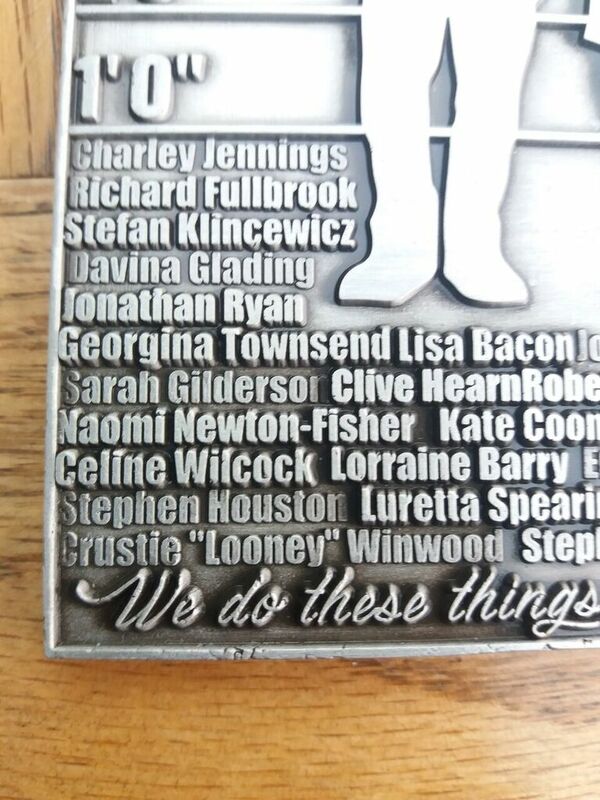 There were lots of us there, but this is a photo of those of us who finished at about the same time. 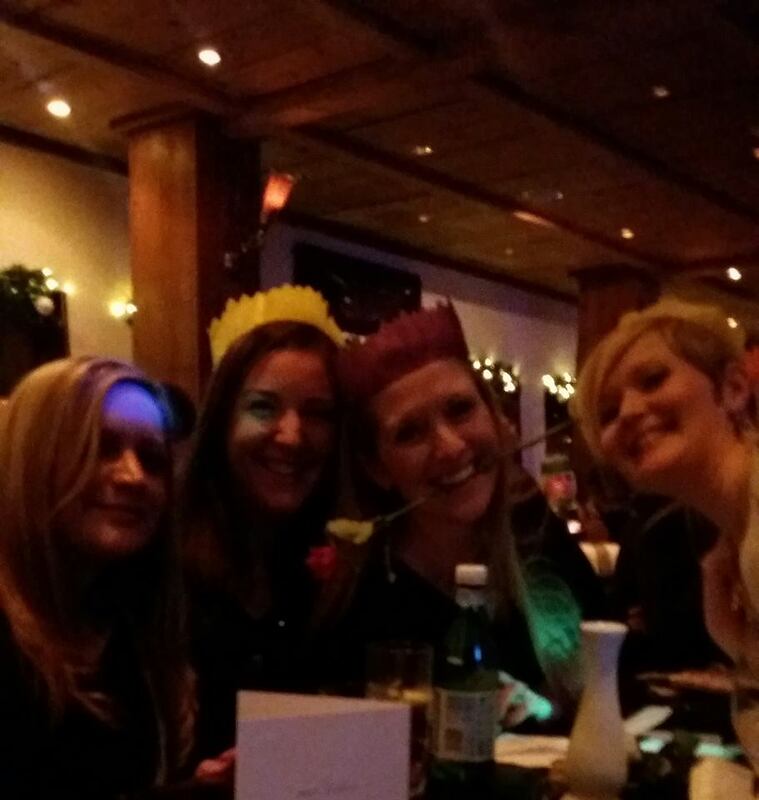 Lovely to catch up with everyone. 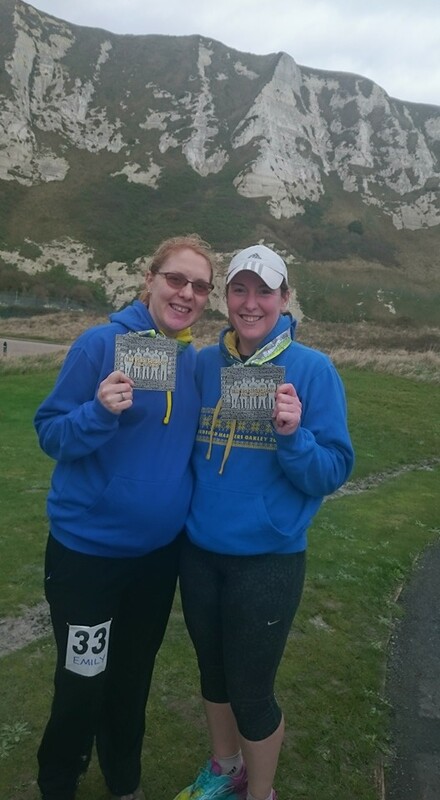 * The Usual Suspects challenge - 6 hours to run as many or as few laps as you like by the White Cliffs of Dover. A social event more than anything...so many friends there. 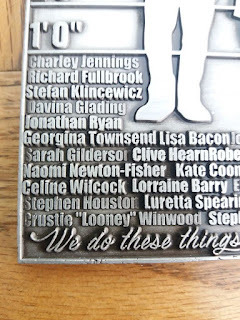 A medal to treasure for ever too. So, what else has been happening since my last post? 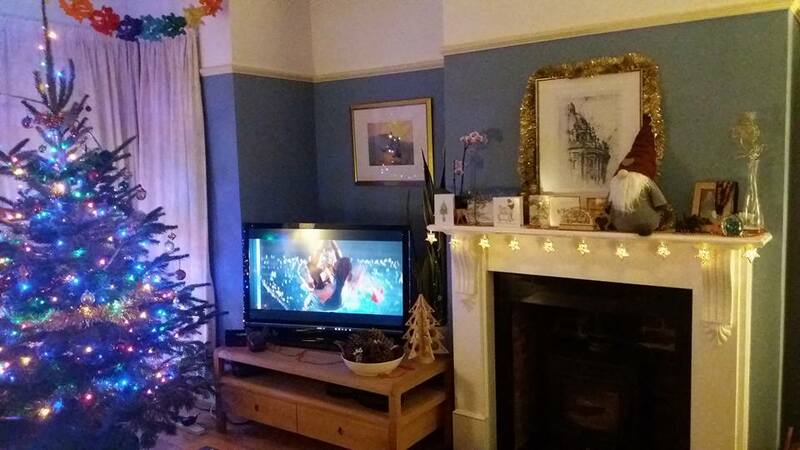 Obviously, we've had Christmas and New Year! It was a whirlwind of seeing friends and family, but lovely and I thoroughly enjoyed decorating our new house and eating and drinking far too much! 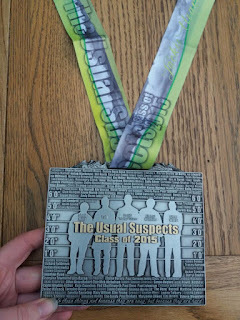 I've missed out on doing the traditional "review post", although here is my haul from 2015's 10 miler, half marathon, 20 mile, 13 marathons and 12 ultras! 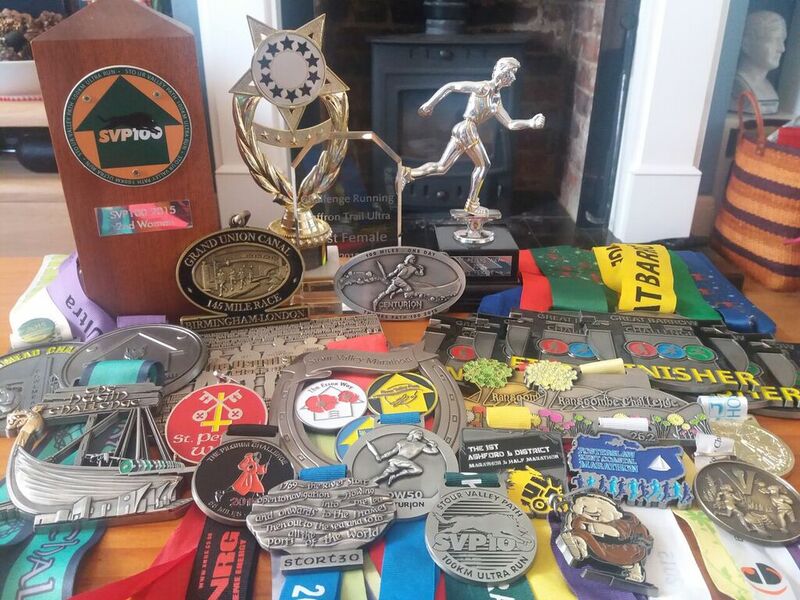 I'm very proud of what I achieved last year, particularly of my TP100 and GUCR double! Oh, and I've managed to pick up an injury. 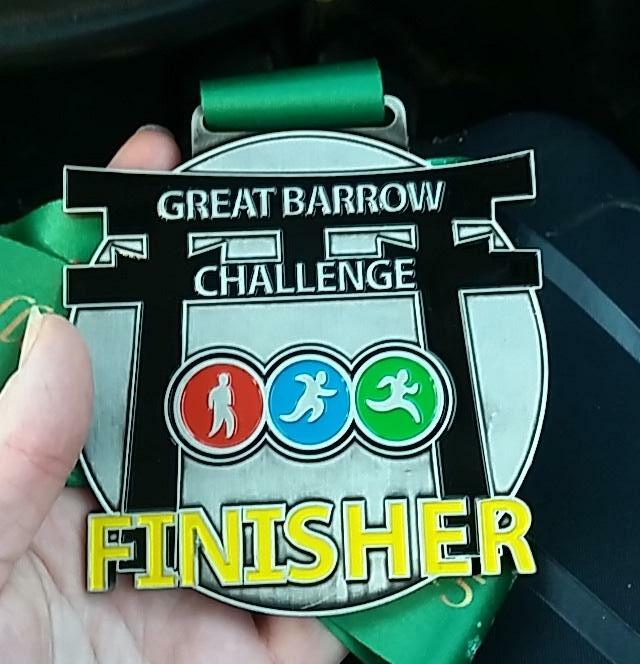 I was signed up for doing all of the days of the Great Barrow Challenge, which is three trail marathons in three days, between Christmas and New Year. They're absolutely brilliant events and was SO looking forward to it. Sadly, on the second day, after a good morning when I was on track for a sub 4:30 on the hilly, muddy, fabulous course, at about mile 19, I suffered a hamstring injury. The pain was so excruciating when I tried to run, that I had to walk the last seven miles back. I considered dropping, but with the really long races I've got coming up, when you never know what's going to happen, walking seven miles with an injury is actually still pretty good training! As a result of this, while it's been healing, I haven't run a step in 17 days! Yep, 2.5 weeks! It's really not good at all. But it is feeling better than it was and my physio said I could start running again this Saturday to try out my leg and see how it feels. 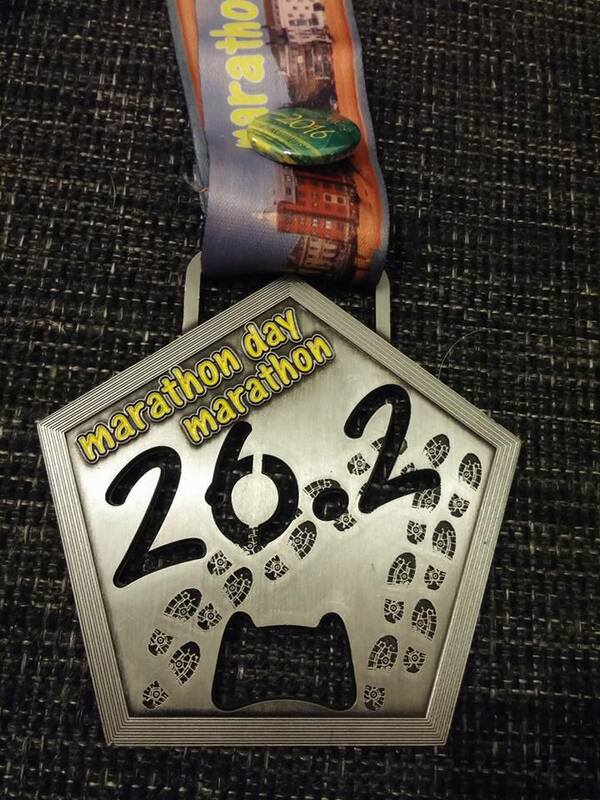 Nothing too strenuous (no running up hills or trying to be fast) but I can give it a go.